Will we still need insurance when cars drive themselves? One of the current innovations of the automobile industry is the development of the driverless car. Think the “Johnny Cab” automated taxi driver in Total Recall, or Tom Cruise’s mass transit system in Minority Report. Toyota, BMW, Tesla, Nissan, Google and a host of other companies are preparing to introduce robotic vehicles by the year 2020, or even as early as 2018. While they may not be exactly what popular media predicted, they will most certainly bring about changes to the auto-insurance industry and the way we travel. So if I’m technically not driving the car, will I still need insurance? In short, yes. 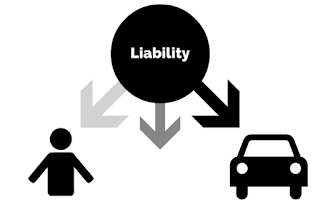 Insurance is the transfer of risk from a driver to a company. In the case of an accident, insurance companies will cover specific damages. Operating an autonomous vehicle (AV) would just shift the liability more from the individuals to the car manufacturer. There will still be a need for theft, personal and physical damage insurance for the Demolition Man car. How will autonomous vehicles affect my premium? It depends. New drivers today might be spending upwards of $4000-$6000 for insurance yearly, and this may very well go down. Instead of rating the driver’s skill, insurance companies will judge car conditions and safety. This change will transform how the automobile insurance industry operates. In the future they may serve a few key manufacturers instead of individuals, similar to insurance for cruise lines and shipping companies. Insurance premiums will also vary depending on the different levels of car automation. The former Society of Automotive Engineers determined five levels detailing how much control an AV has. This will complicate insurance premiums because there will be a varying amount of liability on the driver. How will driverless cars change society? Fewer accidents. When you remove the human factor there is 90% less likely chance of error. Less traffic. Congestion may be decreased from the efficiency of these cars. Increased transportation for the elderly and disabled. Driverless vehicles will increase access for those who couldn’t previously drive. Better fuel efficiency contributing to less pollution and there will be less need for large parkades where potential. More time to do as we please during travel (read, text, sleep) whatever! That seems like a future we are willing to drive towards. Over the last weekend of October there were six fatalities in four separate car crashes in Manitoba. RCMP officers say that distracted driving was a factor in the accidents. In the age of technological conveniences at our fingertips, it is difficult to consider what is at stake when behind the wheel. Forgot to apply mascara? Need a bite of that sandwich? Want to switch songs or text a friend? Do it while you’re pulled over to reduce your chance of collision by 80%. So what exactly are the risks of various distracted driving activities? The Canadian Automobile Association summarizes them in the table below. While texting and driving is obviously a large risk, even holding your phone and chatting is a hazard. If your odds of coming face to face with a shark increased 1-23 times, would you get out of the water? What if you could just swim peacefully without any risk at all? It turns out humans are really bad at calculating risk. We use a combination of logic and intuition to assess everyday dangers, but more often rely on our gut feeling. Harvard instructor David Ropiek discusses the concept of the Perception Gap: being afraid of relatively smaller threats and less afraid of relatively big ones. You may drive every single day to work while sipping a coffee and e-mailing your boss without incident, therefore you desensitize to any perceived risk. You may travel less frequently on airplanes, so the associated danger ‘feels’ more imminent. However, we all logically know which risk is greater. We also know that it only takes one glance at a playlist to miss a child running out into the street. The advances in our modern era fortunately bring conveniences to our conveniences. The Bluetooth Gods have bestowed upon us the capability to speak with someone hands-free. Books are available as audio. Green smoothies are a welcome alternative to a take-out box nestled in the passenger seat next to chopsticks. But we’ll still have to prep our kid’s belongings, makeup, and/or GPS before our journey. Gone are the days of cruising in that 1964 mustang seat belt-free with a metal baby chair tied to the bench seat.